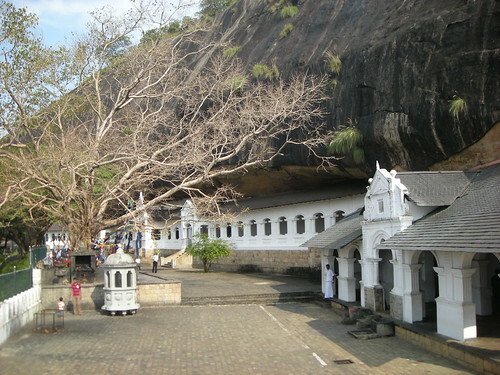 By initial plan I supposed to visit Dambulla cave temple on the first day of my trip to Sri Lanka and spend night in Kandy, but because of slow traffic I need to adjust the plan. I get up as early as possible for short climb to Dambulla Cave temple. It is the largest and best-preserved cave temple complex in Sri Lanka and it should be on everybody’s “to do” list if the one is interested in such places. It is really short climb but it is better to go there in the early morning or late afternoon as the path is exposed to the sun and during day it can be quite hot. .
From Dambulla I was heading to Kandy. 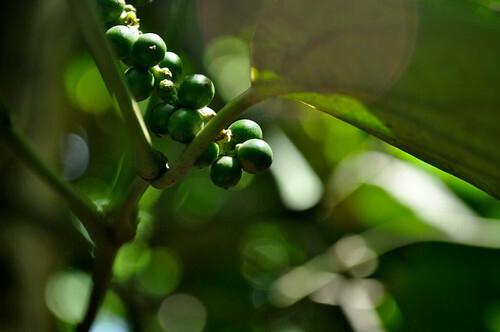 On the way to Kandy there are numerous spice gardens to see many different types of spices Sri Lanka is famous for. You can see how vanilla, black pepper, coco beans, cardamom, cinnamon and other spices are grown and of course you can buy processed spices or cosmetic product if you want. There is no hard selling, so you can just take a look and drive away. On the same road there are some handcraft shops. Somebody will show you how souvenirs and furniture are crafted, how natural colors to paint goods is made . It is also free and it is only up to you do you want to buy souvenirs or may be order some furniture. Just before Kandy in Matale there is largest hindu temple in Sri Lanka – Mariamman Kovil. Because of some hindu celebration it was closed for visitor when I was passing by. The Temple of the Sacred Tooth Relic is the main attraction in the Kandy. It houses most important Buddhist relic in Sri Lanka – a tooth of the Buddha. You won’t be able to see tooth itself as it is kept in a gold casket, but you can see illustrations how the tooth arrived to Sri Lanka. I was short of time, so I just to a look to Kandy panorama and went further to Nuwara Eliya. But if you have time it is good idea to stay in Kandy and at night watch performance of famed Kandyan dancers and in the morning go to Royal Botanic Gardens (working hours 7:30-16:30) – the largest and very beautiful botanic garden in Sri Lanka. Unfortunately I didn’t have time for it either. 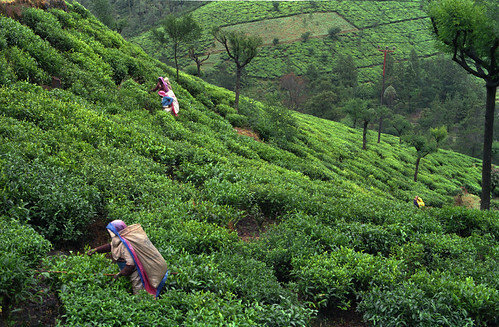 From Kandy road to Nuwara Eliya winds up to the mountains the most of tea plantations are located. There are couple tea factories on the road – Blue Field Tea Gardens and Labookellie Tea Factory – you want to visit at least one to see how tea is processed, to tasted it and may be buy some. There are some waterfalls on this road, but in dry season they can be short of water and you won’t see anything spectacular. It was long day and I arrived to Nuwara Eliya only after sunset.